I've added Zend Framework to the external libraries path, and the background turned blue... with black characters... Not quite readable. Can I change this? Changing the theme does not effect it. If I copy some file from External Library into actual project .. I see no difference between them in terms of color highlighting -- the only difference I see is that no inspections are run for External Library file. 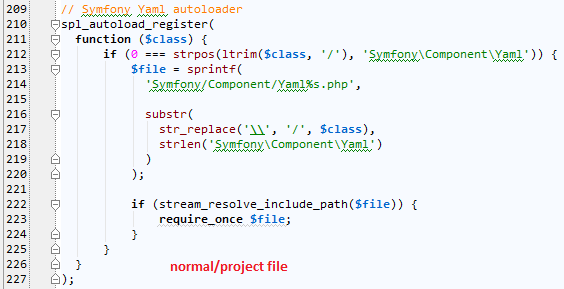 I think mentioning "Project View/Panel" in original question would help a lot: the only "blue" backgound I see is in syntax colors (PHP code background -- light blue) -- there is no way for me to make relation between "blue" and background of files in Project View -- those colors are nowhere near each other. 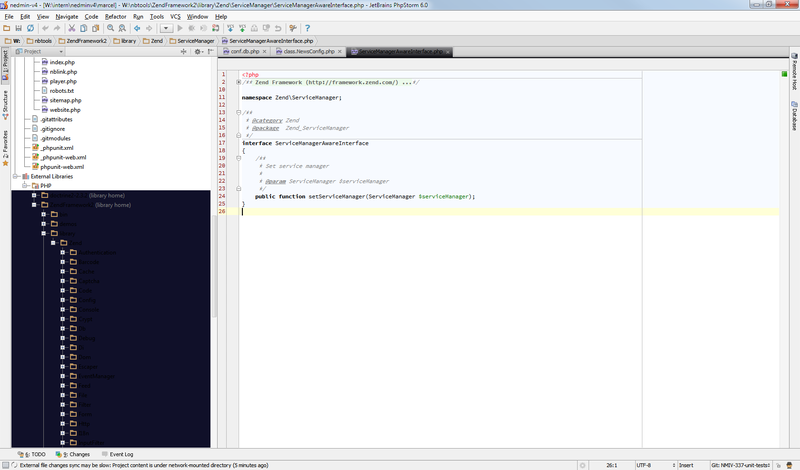 Thinks its confusion caused by my lack of proper English, and being new to PHPStorm, not knowing its official name. And my monitors renders it dark blue... nearly dark purple or black. Anyway, the problem is that filenames are not readable, you must aggree on that :) So my original intented question; how to change that background color? So my original intented question; how to change that background color? I do agree on confusion part -- I should have paid more attention to words "file names" instead of concentrating on words "blue" and "background". Ah, found it, changed it. Thanks!